last week my husband tromped off to Vegas for a 5-day vacation with this poker buddies. i heard the garage door close as he left for the airport. i waited 15 minutes to make sure he didn’t return, in case he forgot something. i peeked out the window…..
my eyes nervously scanned the street…..
then tiptoed to the back door…. with one hand on the knob and the other pressed against the warmth of the door, i paused briefly to collect my breath. i turned the knob slowly, my toe softly nudged the door open. It was still early, and the morning light reached through the crack of the door to help me open it the rest of the way. for a moment, i thought i had heard the garage door again. i turned my head. but no, it was just my jitters playing games. i stepped out towards him and felt my heart flutter with anticipation and longing. speaking was not necessary – we both already knew what was going to happen. nothing was going to get in the way of our union. my hands deftly removed his dark blue, canvas, weather protection jacket and threw it on the ground. i didn’t care where it landed. how handsome he was. so massively big…..continued after the jump…. 68,000 BTUs and a side burner, and he was all mine for 5 days…..
Oh, don’t tell me that you guys were thinking it was going to be my lawn boy (cuz I don’t have one!) If you’ve been a regular reader, you’ll know that Husband doesn’t let me touch his outdoor grill. And I totally get that. Because I wouldn’t want him rummaging and rearranging my spice drawer, you know? It’s just a highly personal thing and that is fine. Our marriage work so wonderfully this way. But….he got to go to Vegas while I stayed home with both kids. Since this particular situation was not covered in our marriage contract, I took the liberty to amend the terms and wrote an addendum. 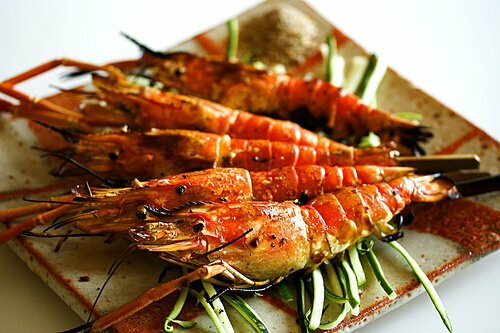 My first meal, Grilled Prawns with Sichuan Peppercorn Salt was so deliriously easy and quick that I didn’t even feel a tinge of guilt for using the grill. These were HUGE freshwater prawns that I found in the freezer section at the Asian market (Phuoc Loc Tho in Sarasota, FL). A 2lb box of these beauties from Thailand for $16.00!! YEAH! I know! Each prawn was at least 7″ long head-to-tail, not counting the claws. HUGE! Now I know you might not be able to find the same, but feel free to substitute with smaller shrimp – just keep the shell on and skewer them for easy grilling. I didn’t season the prawns, but simply left them naked to grill as I was going for simple, clean, elegant to pair with my Sichuan or Szechuan Peppercorn Salt. 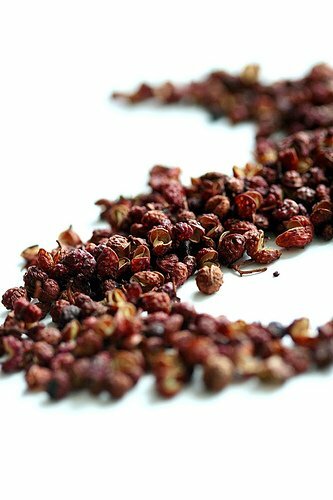 If you haven’t tried Sichuan or Szechuan Peppercorn (SZP) (it’s spelled both ways) before, it’s really not a peppercorn at all, but rather a berry from an Asian bush. Put a couple of pods between your teeth and chew – you’ll get a numbing, tingly sensation all inside your mouth and lips. Contrary to what people think, SZP is not really spicy in your face hot. It has a citrusy, warming and woodsy aroma and flavor. 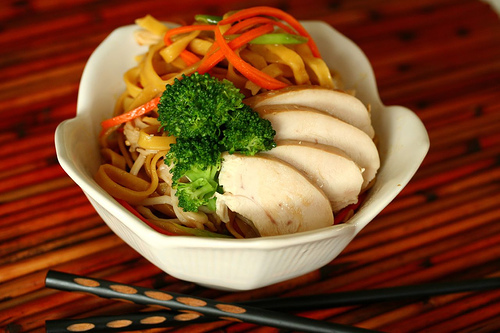 You can find SZP at most Asian markets and some gourmet stores. If you are going to an Asian market where they don’t speak English, it’s best to print out a photo of the packaging in Chinese. Click on thumbnail to get bigger photo. I also have some online sources within Asian Flavored Saltspost. Lightly toast the pods and your home will smell incredibly wonderfully exotic. Grind with sea salt and you’ve got yourself a very versatile Sichuan Peppercorn Salt. After a quick grill, unpeel a shrimp and dip just a bit into the SZP Salt. mmmmmm……perfect. To devein without piercing the shell, I used a toothpick and poked in right in the middle of the back between the shell segments and fished out the tract. 1. Preheat your grill to super-duper hot. I let the grill preheat for 15 minutes on high. 2. 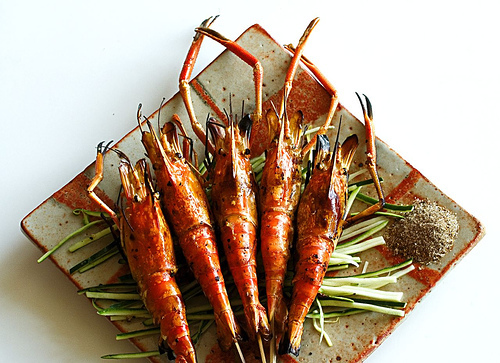 While grill is preheating, make your Sichuan Peppercorn Salt and skewer the prawns. 3. Grill 1-2 minutes per side, depending on the size of your prawns. Serve with the Sichuan Peppercorn Salt as a dipping salt. Wow! 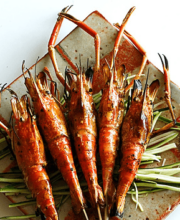 Loved your enticing intro to this amazing, yet simple recipe :-> Fab photos as well … I must try this soon as I have some fragrant Szechan pepercorns at home & some huge prawns just waiting for the perfect recipe ! Wow…I am starting to understand the meaning behind the word: FOODP*RN! Well I tried printing your photo (thank you!) to take to the huge Asian market in search of the peppercorns, but they didn’t have them. Back to digging around on the Net. I do want to try these and your roasted chicken as both sound delish! i just read an article in LA Times about spot prawns. I think I saw them in a tank at the local 99 Ranch. They are like $15 a pound. 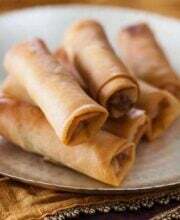 They look yummy. Now I know what to do with the critters. Those would go nicely with your “prime” steaks! Looked like it worth sneaking the grill! Szechuan peppercorns are the greatest. I make my spicy salt with a mixture of these, white pepper and sea salt and do similar things with them except i often dry-rub the salt of use it is a batter. Check out my recipe for spicy salt tofu ( http://food.jpoliva.org/2007/03/06/fried-tofu-with-spicy-salt-two-ways/ ), which works rather well with shrimp, too. Great site! yOU DID A REVIEW OF MY sTUMBLEuPON SITE.. NAMED jEFFhESTER.. aLTHOUGH i AM not jEFF, HE’S ONE OF MY BEST FRIENDS, AND i SCREWED UP JOINGING TWO AND A HALF YEARS AGO, AND NOW THERE is no way to fix it. (Like te caps I accidently turned on tat the beginning of this blog)… Sorry about that.. I LOVE your site.. you have a wonderful attitude about the female essence.. I LOVE IT. I’d love to chat or email with you. You obviously have an open mind. Jaden, This in reference to your Sept 6 article in the East County Observer. I have not tried the Brining Method on my steaks. I buy my steaks in Oneco Meats on 15th Street. E. in Bradenton. Patty and Scott are the owners. He will cut what you want. I have an old grill pan that I use. I have a gas stove and oven. I do my steak on the grill pan 2 1/2 minutes each side I get the neat grill marks. I then put the steak in my old cast iron fry pan put it into the lower oven at 425 degrees for 7 minutes then I let it rest for 5minutes. My wife Diane likes Medium Rare and thats’ the way it comes out Just right. I have found that I have to stay right there and not go do something else while they are roasting. The timing is critical. for Rare the timing is 21/2 each side-5 roasting @ 425-5 resting, for Medium it is 21/2-9 roasting-5 resting. We have it with Bearnaise sauce and Boursin Creamed Spinach or twice baked potatoes. We are going to try your Garlic-Herb Butter. OMG! Those looks delicious! I’m drooling!! Feeling stoopid. I just got back from the Asian market. As an apartment dweller, I can ony imagine the joys of cooking on an outdoor grill… Thanks for sharing your secret! What kind of a grill do you have that your husband is so protective? 🙂 The recipe looks awesome (prawns are my favorite!) and I love the simplicity of it… When I was little, we used to boil prawns and just eat them plain with beer. Well, I had a little sip of it, being that I was 5. My parents had most of the beer. Some of the best food out there requires minimal spice addition – because it’s so good on its own. Love the photos! Jaden, I just discovered you yesterday and I am a BIG FAN! You writing is casual yet informative, it’s like sitting down and having a chat with a very good friend. Your photography is simply amazing. My husband is in Korea til next week…not sure if I’m going to introduce him to you right away, but I am definately going to use your tricks. Once I got them mastered…then and only then…will I let him in on our little secret. Keep it up, can’t wait to see what your gonna show us next. 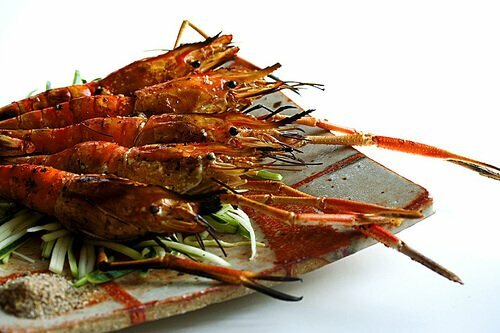 These prawns look so enticing. Thanks for the peppercorn recipe. I will make a big batch so that I can always have some handy. Like the new photo. Kind of a Asian Nigella Lawson look. I like it! I somehow hit a button the last time I commented on the steak that gave me all your comments when they came in. You are getting very popular (lots of men too!) I can’t see how you manage to keep up with all the replies.Hope it doesn’t get too much for you. Wow, what a beautiful picture. I love how you made the peppercorn salt like a royal spice! Not to mention that the prawns looked mouth watering also. This is my first comment on your blog. I’m from Montreal and have been reading your blog for the last 2 months. 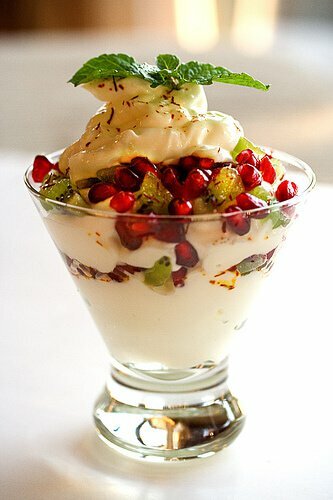 I’ve become a fan of your recipes, your stunning pictures and your stories. Every week I make sure not to miss your latest posts. You say on an earlier post, the steak one, that you are not an artist when you were explaining how steak becomes tender from massive salting…well, I have to tell you that you are wrong – you ARE an ARTIST. 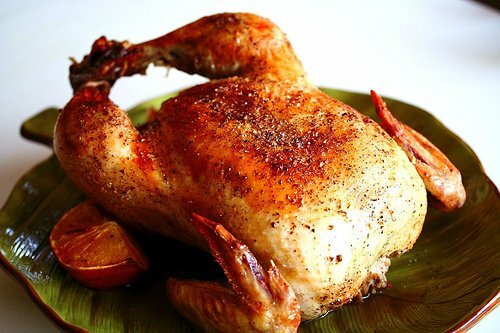 Your pictures make my mouth water and your cooking has become an inspiration to me. Looking forward to your next dish! Ok. You won. You’re now one of my favourite food blogs out there! Just gorgeous. Now I’m feeling naughty, too. Haha, you are hilarious Jaden! My friends tell me that my beau would never cheat on me because he is addicted to video games. Similarly, your hubby probably knows that you are only faithful to him and your burners! You were so naughty…but way to go! Hi Jaden – Those are some great looknig prawns. Eat, Drink, and Be Merry alerted me to your Sichuan Pepper-Salt after I did a post…..it looks about the same as I use…I felt so proud, almost as if I can actually cook! Those are the hugest, most gorgeous prawns ever! I love how people have their “home alone” meal, that thing they prepare that their spouse doesn’t like, or that they only secretly indulge in when alone. Mine usually involves a big pot of stewed turnip greens, since my boyfriend won’t touch them. And then a big piece of cake. Well, if you’re going to have an affair, you might as well make it worthwhile. Those prawns look seriously worthwhile! Thanks Jaden for visiting my blog. I dont know how much there is to offer to you in terms of Indian Cuisine, but I appreciate it whole heartedly. That is a wonderful blog you have ……now did you eat all those shrimps all alone, without sharing?? How naughty have you been lately?? ..& not to forget the adulterous side!! 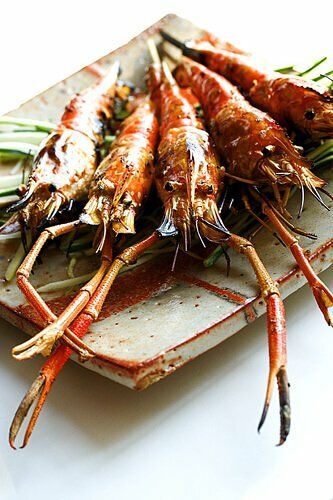 Wonderfull Jaden your tale, and wonderfull prawns, it’s a pity that here I can’t buy Szechuan Peppercorns, i should like to use. 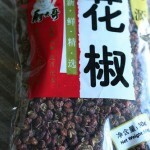 Have you made szechuan peppercorn oil and cooked with it? 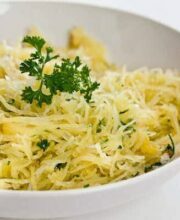 It’s absolutely delicious, even in the most simple of dishes… I’ll have to try your salt! 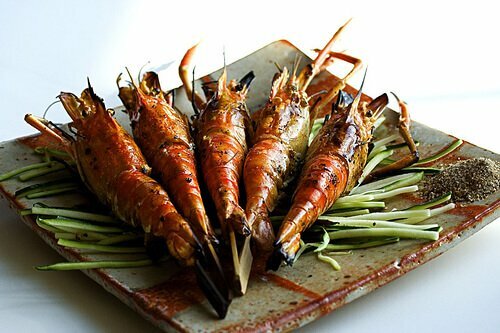 Oh lovely prawns… they seem to be singing happily, wanting to be eaten by viewers… oh such teasers….lol……..absolutely fab! That’s one hot lover you’ve got there. Okay, I HAVE to make this for family coming in next week. I hope I can do it “eating local”! What did you serve with it???? Love your entry to the story! LOL great job jayden! Oh man, those are some HUGE effin’ prawnbabies! *drools* I’ve been checking my local fish market but the prawns are still frozen and pricey – I can’t wait till summer brings this bounty back! These look gorgeous Jayden! Nice job! Those looks like they might bite back. Hahaha, your entry always makes me laugh my head off! And what a beautiful way to cook prawn! Nawtee nawtee…having the prawn affair. Make sure you bribe us all with these…or I won’t know when to SZP my lips and may announce to the whole world about your affair. i am ignorant when it comes to prawns all intact with heads…how do u eat it and peel it…do u break off the head? Wow… now those are some gorgeous shots! I want to try the SZP Salt! Jaden, you rock! !…need I say more? You’re a bad influence on my wife Jaden, now she’ll use you as an excuse to be able to use my grill. 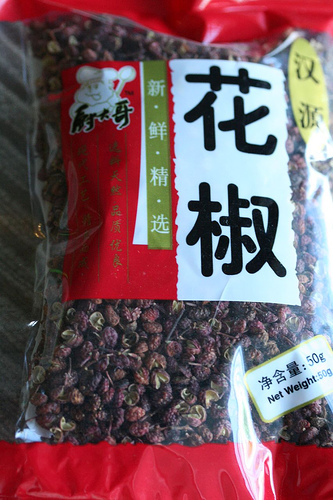 I actually just bought some Szechuan Peppercorns from Penzeys.com (which is another great resource for spices) and I was wondering if I can put them in my regular peppercorn grinder or if that will ruin my grinder for other peppercorns in the future? I’ve been using the SZP on salmon and in dressings. Damn Jaden that looks so good. Tonight I was going to make your steamed fish recipe, but if I can find those suckers at the aZn market tonight, I may make this one instead. I still have Szechuan peppercorns that Wandering Chopsticks gave me. What, no pics of you and the big, prawny grill, your arm around that long supply hose, nuzzling the nozzle, playing with the ignitor, pushing the right button to get things started, yelling loudly, “Get lit, bay-bee!”?? Was kinda wondering where you’d gone off to. Nice to see you’ve finally put a blog entry to bed this week. 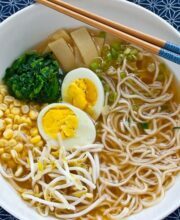 Elise- I have Simply Recipes blog envy!!!! Nicisme- well, I did name it SteamyKItchen on purpose. Sia – hot hot hot, baby! Suganya- we have a blue canvas cover that goes on top of the grill – its supposed to protect from weather, but that thing is SO heavy. Melinda- yeah, I did…with a prawn that big, it was pretty easy. I’m not so picky about it though. I’ve eaten much worse than shrimp poop! Andreaa- thank you to you too! Lydia- I have a fancy new lens on camera called, “Deliriously Hungry” that makes everything look good. Mandy- oh yes I did!!! Cris- it was delicate work…and I prob didn’t do that good of job at getting all of it out. Melinda- No – I added that in after seeing your comment! Joey- lol! they do have cute little faces! Man…I must be going blind! I didn’t see the fishing out with the toothpick part. ( which sounds rather tricky to do) Sorry Jaden and thanks Cris. Thanks for the Email Jaden too. Perhaps vein is better than inards, kind of like sweetbreads, escargot, tripe, etc! Melinda – just before the recipe she said, “To devein without piercing the shell, I used a toothpick and poked in right in the middle of the back between the shell segments and fished out the tract.” Somehow I don’t think I’m handy enough to manage that! I want one too! The prawn is calling out my name! 😀 Just curious, did you eat the prawn heads? ooooh…ahhh ecstatic here….no not over your alleged lawn boy….over the prawns that are begging me to just peel off their skin and devour them. When my hubby used to travel he used to call me on the way home and tell me to send the pool boy home since he’ll be showing up in 20 minutes – he he – we don’t have a pool. How is it that you make those frozen prawns look so completely fresh and delicious? Some day, please share your photography secrets with us! What really turned me on was the Szechuan Peppercorn trail…..Mmmmmmm!!! Jaden, a question please? Do you not devein (remove digestive tract) the prawns before grilling? I don’t usually get uncooked prawns so am ignorant about this. I don’t really fancy the idea of eating their inards. But I would value your opinion about it. Am I being silly squeamish about prawn inards? Is it safe to eat them? Ta. Oh you little devil! Well, I guess you aren’t called ‘Steamy Kitchen’ for nothing! Those prawns do look totally worth it though! Wow those prawns are huge, they even have claw/pincher thingies! *drools* looks… soo… good! It’s actually been ages since I’ve had head-on shrimp, sucking the “brains” out is the best part hehehe. Okay, I so totally have blog envy now. Those are the most gorgeous shots of prawns I have ever seen. The colors. The plating. Sigh.